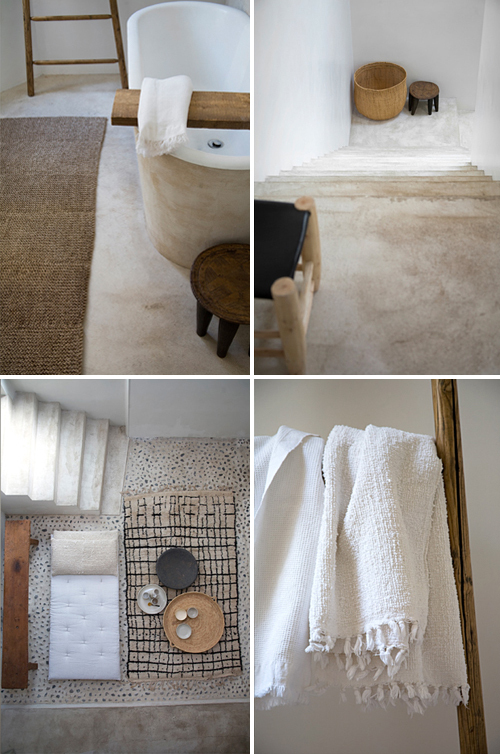 For a bathroom I love the use natural materials such as wood, rattan, cotton and linen. The bathrooms featured in the images above and below are just perfect! The images above are from M. E. Schoole but I can’t remember the source of the top image. Does anyone know? 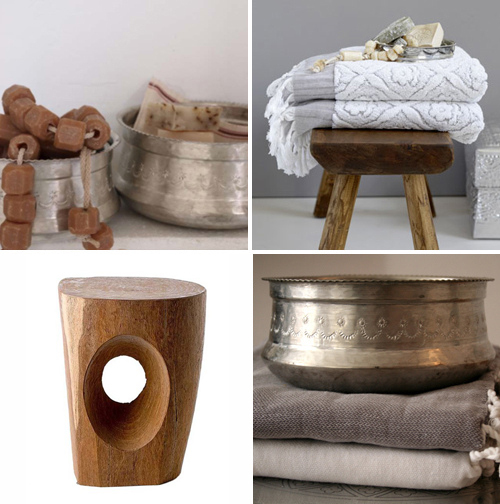 Accessories to create a similar natural and serene atmosphere: copper hamam bowls, thick Turkish towels, cotton hamam towels, stool made from solid wood. That first bathroom is to die for!!!! It is sooo unfussy, clean, uncomplicated and very, very cool. Perhaps what I best like about it is that it could be the bath of a Danish designed type space, a Boho Chic space, a modernist or contemporary space. It is timeless and flexible! Thanks for the post! 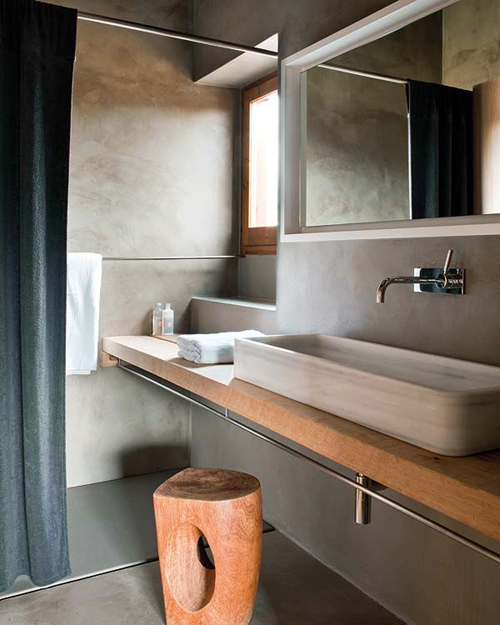 The clean, simple lines of the bathroom are so calming and the organic elements make the space meditative. Lovely design!